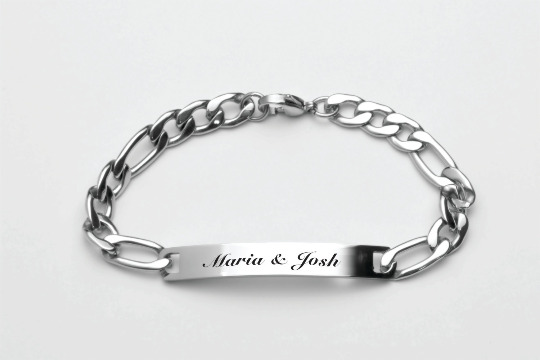 This engraved silver stainless steel bracelet can be personalized with your names, initials and a secret message on the back. 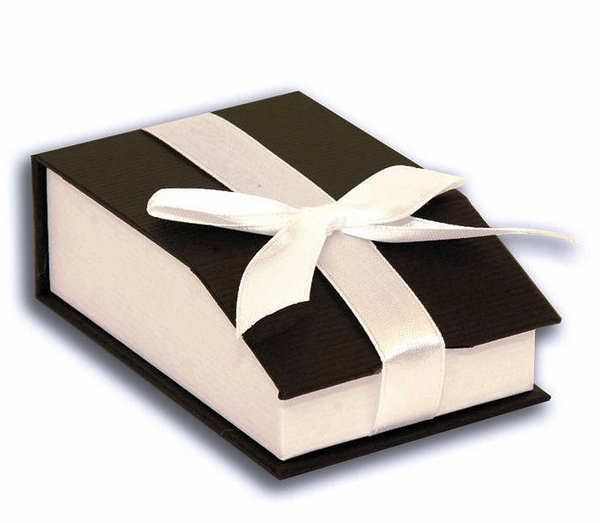 It is the perfect gift for that special person! 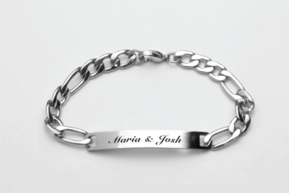 Show your memento of love and adoration. Let your sweetheart know just how much you care about them. Plaque Dimensions: 1.25" x .3"